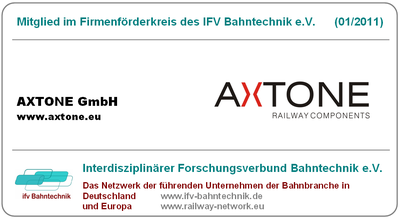 IFV BAHNTECHNIK (Interdisciplinary Railway Research Association) is an interdisciplinary, independent and international organisation, involving approx. 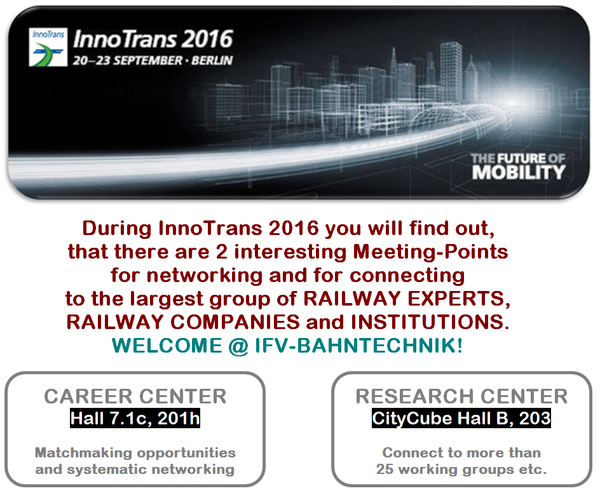 12900 members, partners and supporters from science and all relevant sectors of the transport industry. 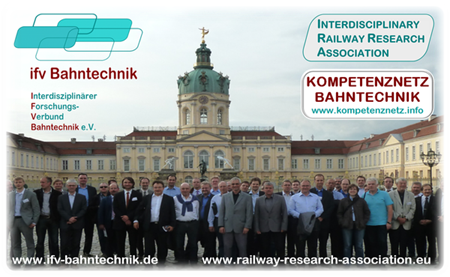 We support research projects from our partners in all areas of railway and traffic oriented research by connecting demander and supplier systematically as well as representatives from service businesses, leading research facilities, associations, administration and politics. 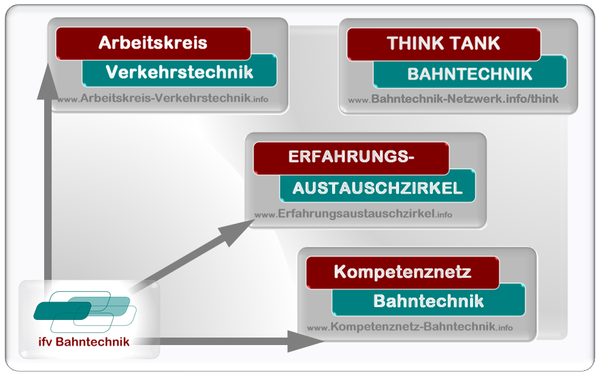 As independent and innovation-oriented network the IFV BAHNTECHNIK provides numerous advantages for his member and partners. You may send your PRE-registration for upcoming conferences ONLINE to make an unbinding reservation for your seat during the next conferences. Complete LIST OF RECOMMENDED HOTELS IN BERLIN (close to the venue) is available and will be sent directly to the registered participant via E-Mail (as soon as we receive your application form). 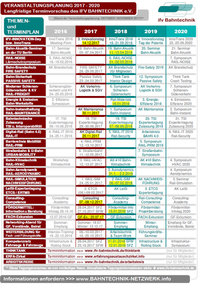 There are plenty of hotels in Berlin (all price and comfort categories) available. 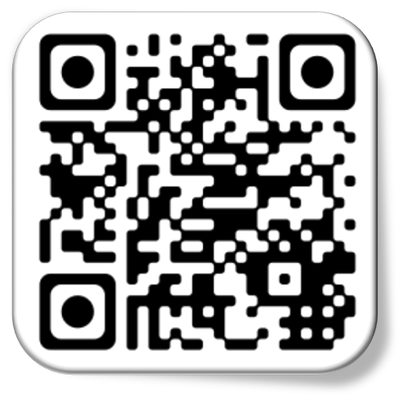 * Participants need a CHECK-IN-CARD to enter the conference rooms. Registered Participants will receive their CHECK-IN-CARD by e-Mail, or at the Check-In-Counter (after complete fulfilment the payment procedure). To place the Products and Services of YOUR COMPANY, please ask for BRONZE, SILVER, GOLD or PLATINUM package for Exhibitors. 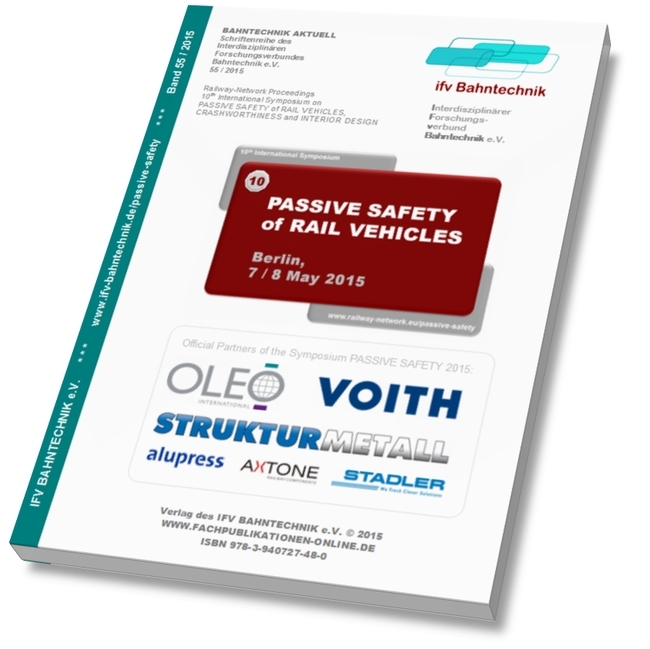 The Proceedings of the PASSIVE SAFETY symposia are available as PRINTED BOOKS, published by IFV BAHNTECHNIK. 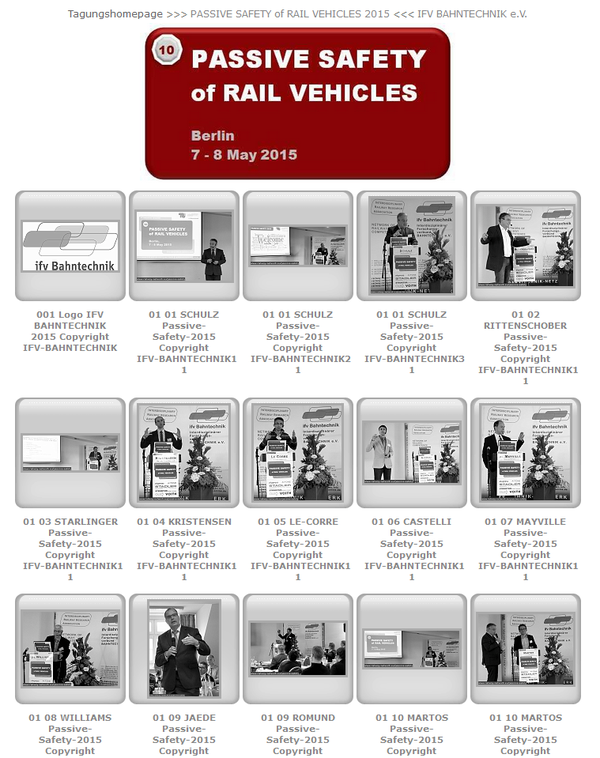 PASSIVE SAFETY 2013 >>> photo gallery 2013. 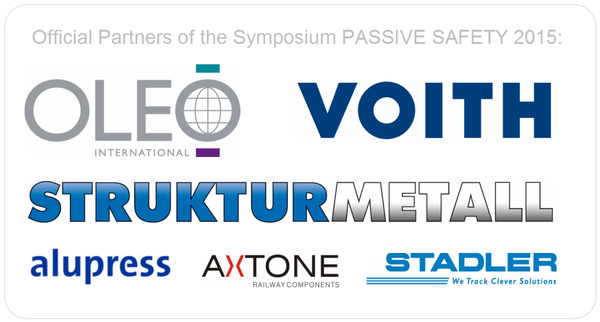 PASSIVE SAFETY 2011 >>> photo gallery 2011. 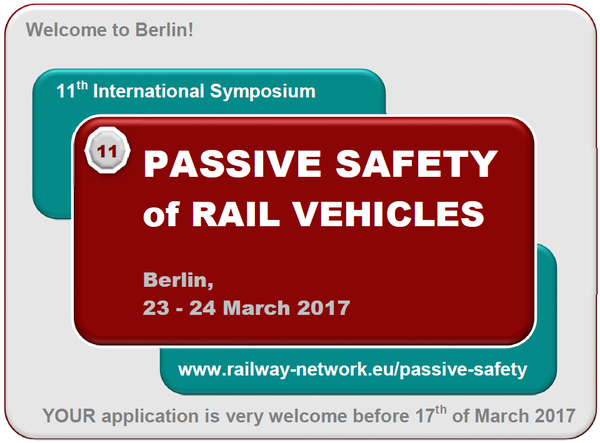 PASSIVE SAFETY 2008 >>> photo gallery 2008. 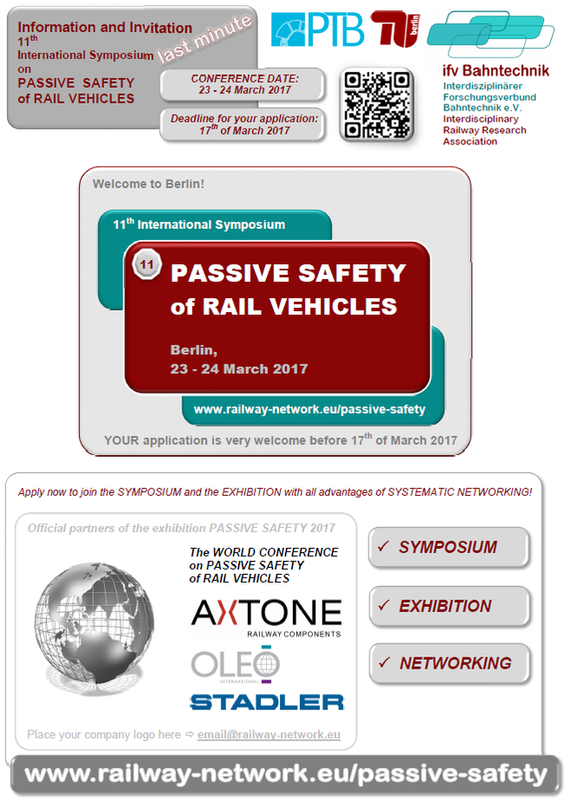 PASSIVE SAFETY 2006 >>> photo gallery 2006. 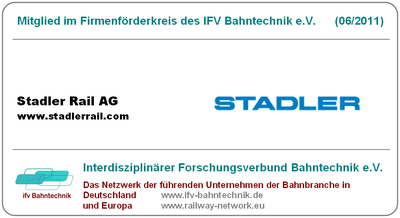 For PRESS INFORMATION and PRESS ACCREDITATION please contact >>> E-Mail: redaktion@ifv-bahntechnik.de PRESS CONFERENCE /// PRESSEKONFERENZ PASSIVE SAFETY of RAIL VEHICLES /// PASSIVE SICHERHEIT bei SCHIENENFAHRZEUGEN aus Anlass des 11. internationalen Fachsymposiums "PASSIVE SAFETY of RAIL VEHICLES 2017"
Please notice the binding Deadlines for Application or Preparation.